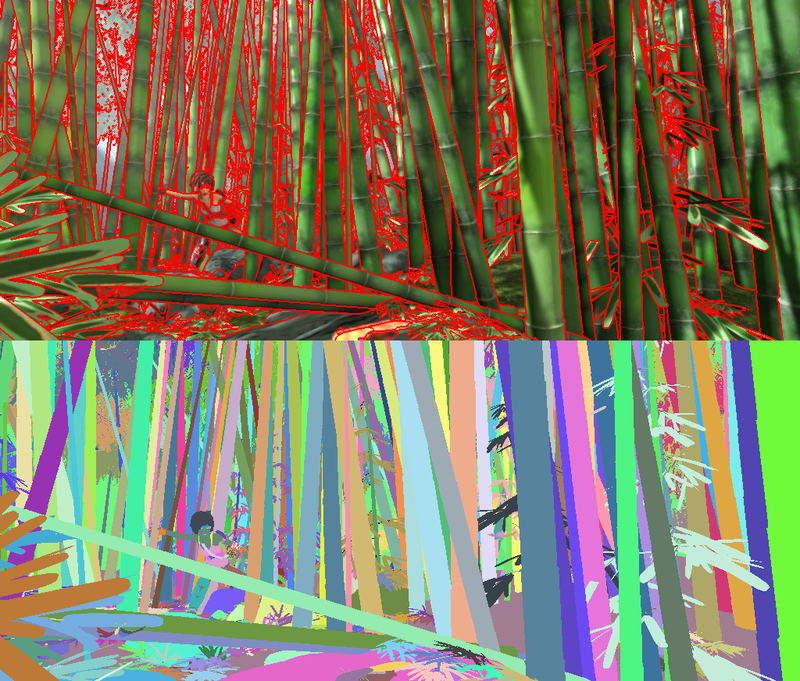 Here, we define a segment to be a set of pixels that (a) share the same material, and (b) belong to the same mesh. The labels of all segments are consistent across all frames of a given sequence, but not necessarily across different sequences. A visualization of the segmentations is also included. Due to aliasing effects, some segments are only a few pixels large. 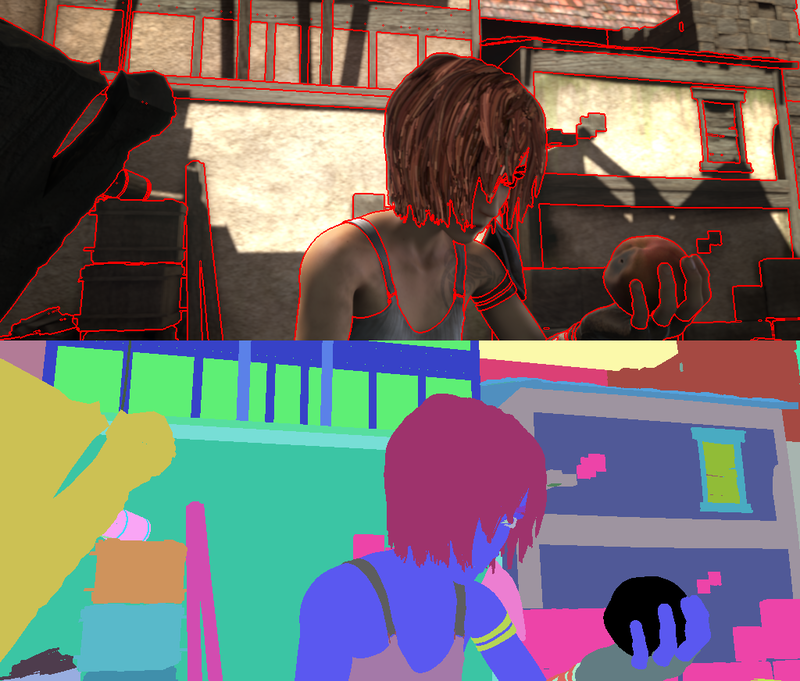 Therefore, we mask out all segments which are smaller than 25 pixels in all frames of a given sequence. The SDK includes example scripts to read/write the segmentation data, and documentation on the data format. The dataset was generated by assigning unique IDs to each mesh and each material in Blender, and writing them out via the object and material passes. The final labels are a combination of these two unique IDs. To generate the mask of invalid segments, we mark all segments for which the maximum size over the whole sequence never exceeds 25 pixel. 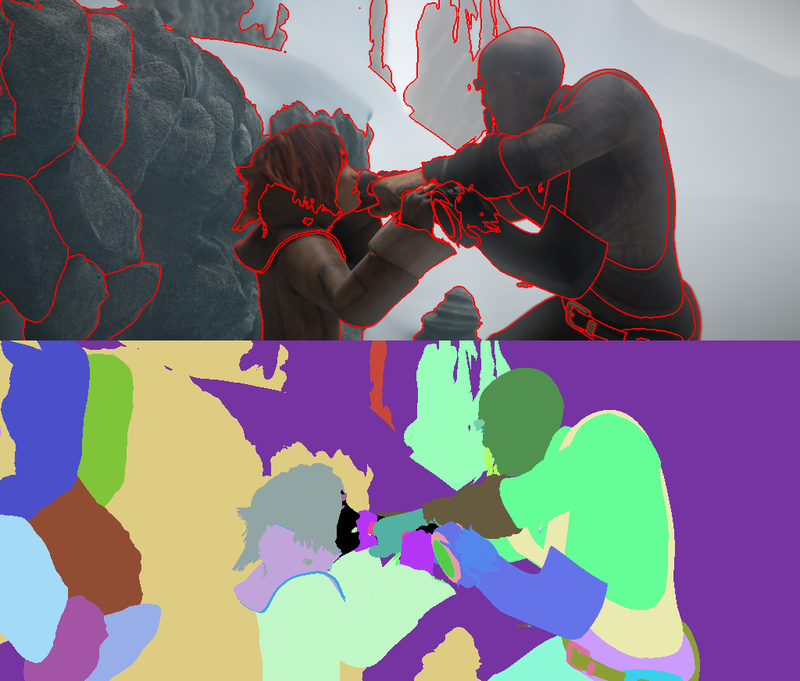 These example show the final pass with superimposed segment boundaries (top) and the color-coded segmentation (bottom).